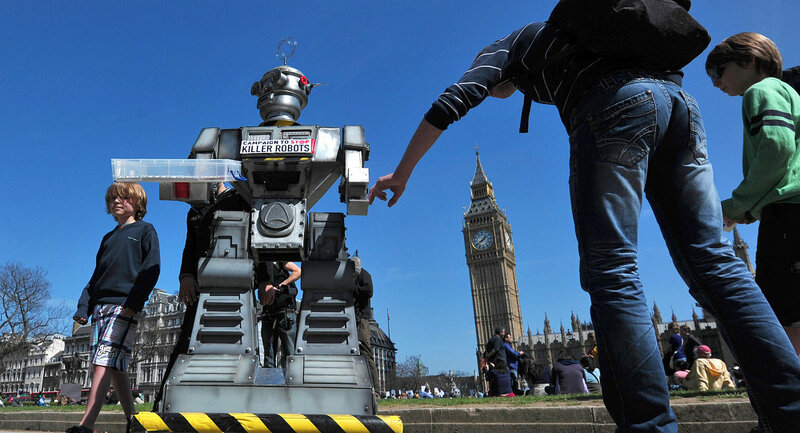 US advocacy group Campaign to Stop Killer Robots Global Coordinator Mary Wareham claims that the United Nations must keep discussing ways to stop artificial intelligence weapons from starting an arms race and ban them completely. WASHINGTON (Sputnik) — The United Nations must keep discussing ways to stop artificial intelligence (AI) weapons from starting an arms race and ban them completely, US advocacy group Campaign to Stop Killer Robots Global Coordinator Mary Wareham told Sputnik. On Tuesday, more than 1,000 AI and robotics researchers and experts wrote in an open letter that such weapons must be banned in order to prevent their mass production as well as an arms race. In early May 2015, the United Nations debated the use of AI weapons during the United Nations Convention on Certain Convention Weapons seeking the basis to produce an international treaty on the issue in the future. International law contains no rules on AI weapons. Wareham stated an international treaty banning weapons that select and engage targets without human intervention is a necessity. “If there are so many questions for existing weapons laws and human rights laws, it shows a discussion necessary to regulate and prohibit autonomous weapons,” she said. Wareham also noted that the AI talks at the United Nations would continue on November 13, 2015, and her group would push for an international treaty then. The Campaign to Stop Killer Robots is an international coalition working to ban fully autonomous weapons including AI weaponry.